So, you may know that I recently moved into a new student house. As this is a rented property, I cannot change too much about the room, but I want to make it my own. 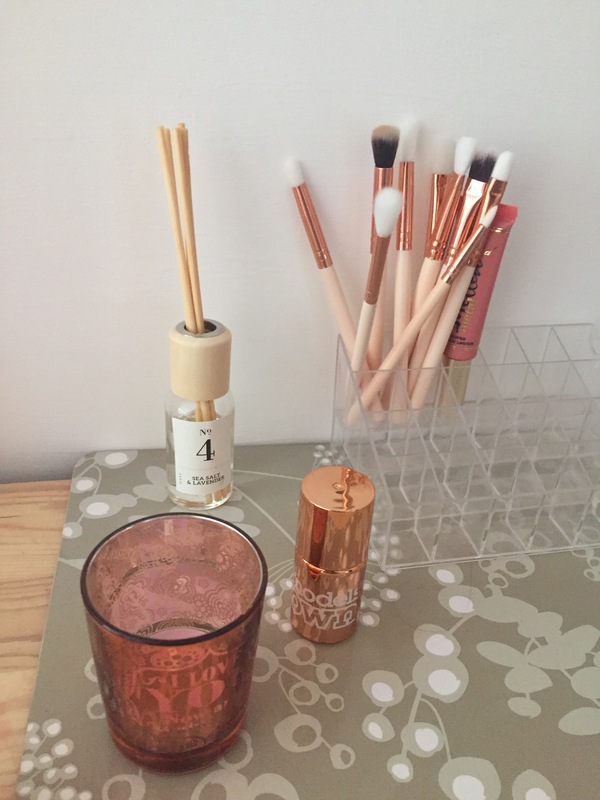 So, I thought I would write this post with 5 ways to spruce up your room on a budget! Now, I love a good photo wall. In fact, I like to have what I call a ‘positivity corner’ with my favourite quotes/pictures/prints. For affordable, high quality prints, easy shops like Very Vez* are perfect! 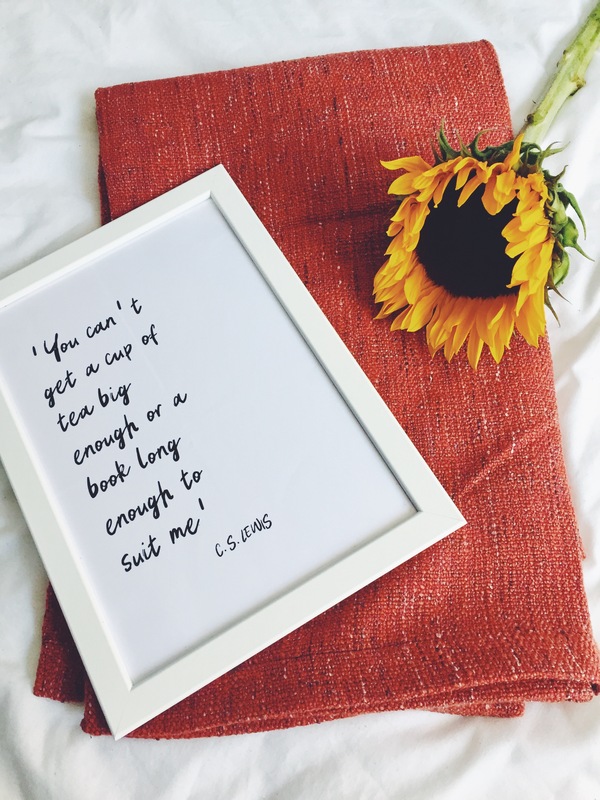 I got this C.S Lewis print from there, and I just love how simple and cosy it is! You can do this with or without frames, but if you’re going to use frames, these ones from Wilko are perfect! Rugs are SUCH a great way to spruce up a room without spending money on getting a new floor! And also perfect for if you’re renting a property and hate the floor! I absolutely love this Geometric rug from Ikea! 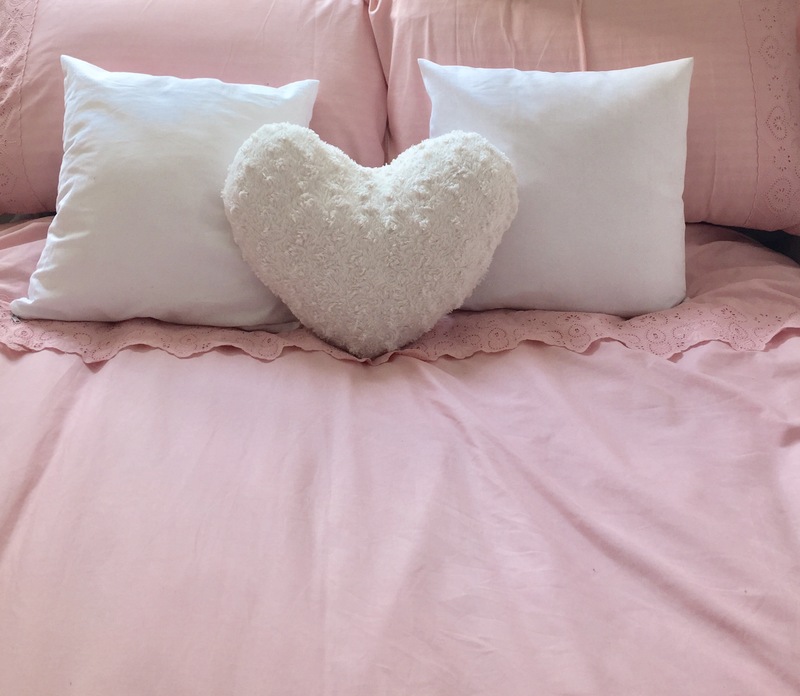 Cushions have got to be my holy grail product for homeware, I just cannot get enough of them! These, along with a throw, add the ultimate comfort to any room. Matalan especially excels in this area. Now, I’m sure you didn’t need me to tell you about fairy lights. But bunting combined with fairy lights just makes any room homely! I love this bunting from etsy. And, if you’re really on a budget, get busy and DIY yourself some creations! I’ve seen DIY pom pom rugs, plant hangers, and much more! So get searching, and you’re sure to find a DIY tutorial for what you’re looking for! So for my uni room, I was on a supeeeer tight budget! I started by picking up some new bedding from Primark. This one was in the sale for £10 down from £23, bargain! I added some copper fairy lights (also from primark), candles and my light box from B&M! Prints from DorkFaceShop really made my room come to life, and added some much needed colour! Plus pictures of my friends and family made me feel more at home. The little plant pots with faces are from Newlook, and the placemats are from primark. The over the door mirror was the last step to make this room feel like home. 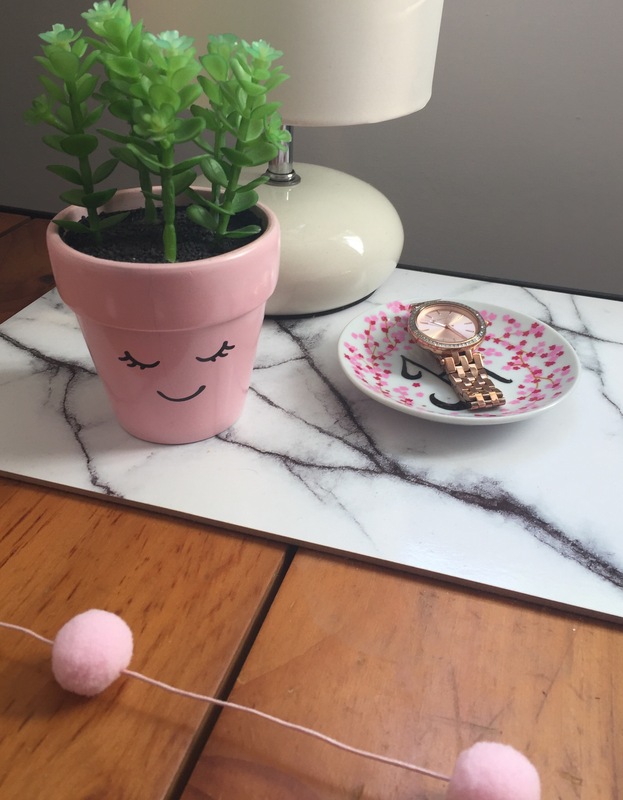 This one was £10 from Wilkinsons and it’s perfect for what I need it for! And that’s just about everything! I really like the colour scheme for my new room, and I hope you do too! * Gifted Item. For more information, see my Disclaimer. I love the color scheme of your room too. 😀 That plant pot is too cute!! Great post sweet! Always good when you can spruce up a room on a small budget!! Previous Post Blogs That I Am LOVING Right Now! Next Post October Photo Diary!